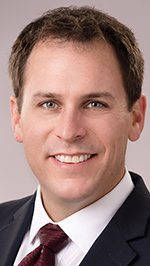 O’Keefe, a Bloomfield Hills-based financial and strategic advisory firm, has appointed Tim Thompson as the managing director of its Grand Rapids office. In his new position, Thompson will be responsible for growing the O’Keefe practice by expanding on current business, building on established client relationships, and growing new business in Grand Rapids with new clients. Prior to joining O’Keefe, Thompson was a managing director with FTI Consulting in Denver where he specialized in organization-wide performance improvement, process re-design, operation cost reduction, and back office optimization. He also worked as a program manager for post-merger integration for AECOM Technologies in Denver. His responsibilities included managing and implementing strategic and operational goals, mitigating core revenue and cost risks, and focusing on change management throughout the new organization. Over the course of 5 years, Thompson was involved with over 20 deals from strategic development to post-merger integration. Prior to his position at AECOM, he held a business analyst role at Denver-based Qwest Communications, now called Centurylink, where he assisted in the management of a capital budget over $1 billion, developed tools to optimize new technology roll-out, and supported cost control efforts across a 14 state region. Thompson, of Grand Rapids, earned his Master of Business Administration from the University of Colorado-Leeds School of Business with an emphasis in real estate and finance, and his Bachelor of Arts degree from the University of Pennsylvania.